Swim through the Atlantic waters, bike along Highway 58, and take a run along Ocean Drive in Emerald Isle. Sounds great, right? It is! How about scheduling these three things into your plans for this weekend? We should also mention that as nice as these leisurely activities can be on any given day on the Crystal Coast, this weekend these events are all combined into one fun (and challenging) event?the Emerald Isle Triathlon. Sponsored by the Emerald Isle Business Association and Emerald Isle Parks and Recreation, the triathlon is in its 9th year and begins at 8a.m. this Saturday, October 20. It is a USA Triathlon sanctioned event. 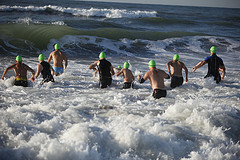 Triathletes compete in a 750 meter swim, a 19.3k bike ride, and 5k run. Award categories include the top three male finishers and top three female finishers, as well as awards for the top three finishers in each of the various age divisions. There is one team category which requires three members, one for each leg of the race. The race is chip timed. It's not too late to register (registration closes Wednesday), so if the athlete in you is longing to compete... go ahead and sign up! If not, it's still a great event to attend as an observer. 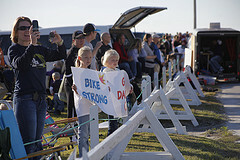 The participants appreciate your support and encouragement, so get out there amidst all of the action and cheer them on. It's also a nice opportunity to get outside and take in the fall beauty of the Emerald Isle coastline. Also occurring this Saturday and coinciding with the triathon is the second annual Three Dog Memorial Walk-a-Thon. It's a chance to support the Carteret County Humane Society and its shelter programs. The walk is an off-road race and begins at 9a.m. The race starts and finishes at the Emerald Isle Community Center. It's also important to note that if you run the 5k portion of the triathlon, it qualifies for the memorial walk, too. It's the chance to run and raise money to support an important cause all at the same time. 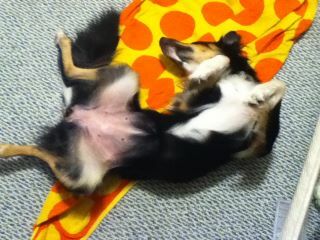 Speaking of animals, we'd like to encourage you to bring your pets with you when you visit and vacation here with us. We are a pet-friendly town and many of our events allow your furry friends to be a part of the action. Emerald Isle loves to see your pets, and they seem pretty happy to be here. Pets need vacations, too, you know. Our pet-friendly accommodations are sure to please and are just another reason to vacation here often. We are looking forward to the triathlon this weekend, and we hope to see you there participating or observing. While we're thinking about it, what's your favorite activity here on the coast: swimming, biking, or running? Tell us about it in our comment section. We love getting to know our readers and their interests. Best wishes to all those competing in this year's Emerald Isle Triathlon and Three Dog Memorial Walk-a-Thon. We echo Mary Lou Retton's thoughts: "A trophy carries dust. Memories last forever."